After a stimulating fall season, Vancouver continues its bounty of classical music after the New Year, featuring a stream of international and local artists that fill up the calendar right to the summer, and involve the participation of close to 30 musical institutions. There is distinction and balance to be found over all musical genres, whether this be orchestral music, chamber music, or solo recital. Early Music and New Music have moved right to the front of the city’s attention, while opera has been springing back in many directions too. As with many centers, Vancouver is exceptionally youth oriented, offering tickets for students and/or individuals under 35 for around $15. It is well established that a symphony orchestra must do everything for everybody within a community, so we find the full range of concerts from ‘pops’ through the more daring contemporary. The attractive VSO Chamber Players series continues. As the orchestra prepares for its 100th birthday next season, its overriding focus this season is saying goodbye to its inspirational music director of the last 18 years, Bramwell Tovey. Many concerts will celebrate the maestro’s new compositions, as well as allowing him to conduct great works that he never had the opportunity to try. We also have another concert in January by the newly-appointed Dutch conductor Otto Tausk, who takes over the reins of the VSO in July 2018. Two festivals characteristically dominate the proceedings after the New Year: this year, the 5-concert New Music Festival runs from January 18-22 while the 4-concert Spring Festival takes place from March 17-26. With Maestro Tovey at the helm, the former brings forth its usual eclectic mix, featuring many Canadian composers (notably VSO-associates Jocelyn Morlock and Marcus Goddard), new music for ‘old’ instruments, and one Canadian composer/musician cabaret session, all enriched by the presence of violinist Rachel Barton Pine. Celebrating Leonard Bernstein is the dominant focus of the latter festival, with pianist Joyce Yang appearing for the second time in three years to participate in the composer’s ‘Age of Anxiety’ while violinist Augustin Hadelich performs Serenade on Plato’s Symposium on the same night. Bernstein’s Chichester Psalms and music from West Side Story come into the mix as well. Tovey also conducts three big works – Orff’s Carmina Burana, Mahler’s Fourth Symphony and Strauss’ Don Quixote – but the link to celebrated violinist Pinchas Zukerman playing Mozart in the last concert might be considered obscure. Starting 2018, Conductor Designate Otto Tausk joins cellist Tanja Tetzlaff (sister of stunning violinist Christian, and both members of the superb Tetzlaff Trio)) in the Dvorak Concerto, coupled with Brahms First (Jan 13-15). Late January sees Maestro Tovey in Berlioz’s Symphonie Fantastique. February turns out to be a particularly attractive ‘concerto’ month. Young violinist Alexandra Soumm arrives for Lalo’s Symphonie Espanole (with the particularly musical conductor, Perry So, accompanying); remarkable Stephen Hough then turns to Beethoven’s Fourth Piano Concerto (with David Danzmayer contributing the composer’s ‘Pastoral’ Symphony); finally, Daniel Muller-Schott plays the Elgar Cello Concert with conductor Josh Weilerstein. After the Spring Festival, mid-April sees violinist Esther Yoo, the 2010 Sibelius Competition winner, playing the composer’s famous concerto; one of the highly-ranked female competitors of last year, Karina Canellakis, directs. Vibrant young piano duo Anderson & Roe play the Mozart Double Concert with a conductor of vast international repute, Andrew Litton, who contributes Tchaikovsky 4 himself. Illustrious Korean violinist Sarah Chang then returns with one of her staples, the Bruch Concerto, but the extra excitement may be hearing Constantin Trinks negotiating Wagner (his specialty) and Schubert’s commanding C major Symphony. I was very impressed with what this conductor got out of the orchestra last year. After long-standing returnees Ingrid Fliter and Jun Markl celebrate de Falla and Ravel, the remainder of May to the season’s end is essentially a Tovey celebration, with the ‘big’ event being May 31. The second week in May sees celebrated violinst Ray Chen join the conductor for the Beethoven concerto, while the maestro puts his mark on one of the most challenging and expansive of all symphonies, Bruckner’s 9th (if only they could have chosen something other than the sonically-damped Chan Centre for this!) Tovey conducts more new music in close proximity and premieres his own Shalimar Variations on June 1. A concert production of Britten’s Peter Grimes comes next, and the final farewell concert features Mahler’s ‘Resurrection’ Symphony. For more than three decades, artistic director Leila Getz’s discerning eye has always found the most promising young musicians to exhibit alongside the world’s most celebrated artists. This mix has yielded concert seasons of true variety and innovation, and this has been recognized widely in international circles. For those who might dream of spending a few months attending concerts at London’s Wigmore Hall, this is about the closest thing to it. For all the distinction of the artists in the fall, even more celebrated international performers arrive in the New Year, and no pianists today could be more exalted than Sir Andras Schiff and Marc-Andre Hamelin. It would be difficult to forget the former’s concerts here in the past two seasons, and his association with the VRS runs back to the 1980s. Schiff’s current programme is wide ranging and ends with Beethoven’s ‘Les Adieux’. Hamelin’s virtuoso challenges run this time through Liszt, Feinberg, Godowsky and Debussy. 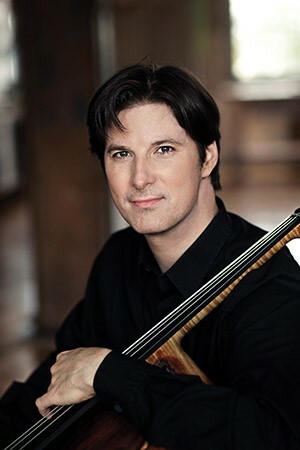 Another esteemed long-time friend of the VRS appears earlier in the spring (at the beginning of February): violinist Nikolaj Znaider performs three major violin sonatas with pianist Robert Kulek. Znaider’s association with the VRS dates back to 2006. For the only vocal recital on tap, mezzo-soprano Tara Erraught starts off 2018 with an evening of romantic song. Later on, one will be equally intrigued by the traversal of Bach’s Goldberg Variations by the young Schaghajegh Nosrati and the appearance of ‘British darling’ Nicola Benedetti with her own Benedetti Elschenbroich Grynyuk Trio – three players that are stars in their own right. The subsequent concert with cellist Edgar Moreau should be as captivating, as he is probably the rising star of French cellists. The final three concerts (from late April) offer a nicely varied feast of pianistic riches. Inon Barnaten has performed quite a number of times in Vancouver since his VRS debut over a decade ago, and he has matured into a very sensitive and poetic interpreter. Here the pianist assembles nine composers from Baroque to modern, giving a sequence of vignettes that would make Jeremy Denk proud. 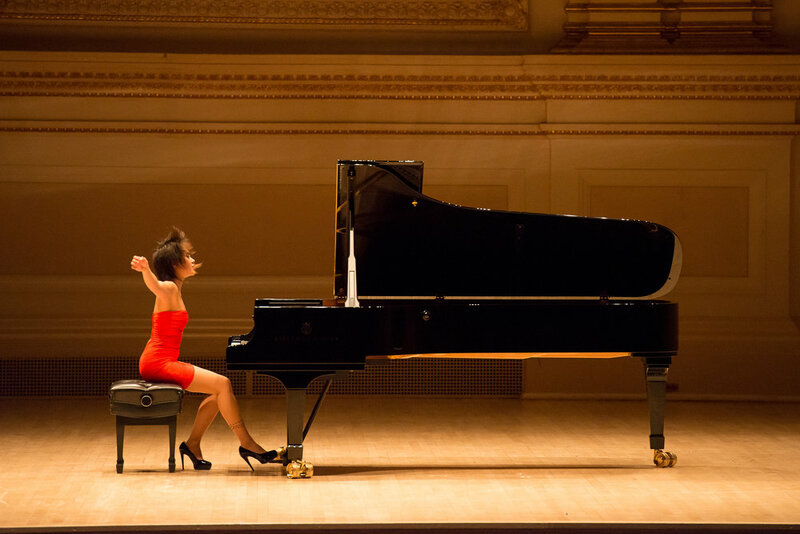 One can only wonder what provocative dress will accompany young Yuja Wang’s fingers of steel at the subsequent concert. Actually, it’s been a long time since this custodian of technical wizardry last appeared here – it was the VRS’s 30th Anniversary concert in 2010 – and it will be illuminating to see how, and in which direction, she has developed. Paul Lewis closes the season, exploring Haydn and Brahms in a second concert of the year. We have been long accustomed to visits from the world’s most celebrated ensembles under the auspices of Vancouver’s oldest chamber music society. As a refreshing start to the year, one should note the two special concerts of ‘authentic’ chamber music at Christ Church Cathedral that are co-sponsored with Early Music Vancouver in mid-January. 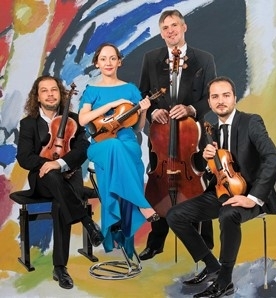 These involve the Diderot Quartet and the Eybler Quartet (members of Toronto’s Tafelmusik) playing quartet repertoire from Bach to Mendelssohn. The historically-informed movement has gained considerable momentum over the past two decades and I am delighted to record that both the Friends of Chamber Music and Early Music Vancouver picked up on this movement from its beginning. The two-concert traversal of the lovely Mozart String Quintets in February is the highlight of the spring, with the enthusiastic and accomplished ‘new’ Szymanowski Quartet letting us see rather different repertoire than previously. This appearance is fresh off performances at Wigmore Hall, London. Richard O’Neill of the Ehnes Quartet plays second viola. The Vienna Piano Trio has been a regular visitor over the years, but this year’s intrigue is their piano trio reduction of Schoenberg’s Verklarte Nacht. The outlier is the young Quartetto di Cremona, who arrive in April with a completely Italian programme (including Verdi and Puccini). The Vancouver Chopin Society has always devoted great effort to presenting pianists that are distinguished and aristocratic, most of whom are also Chopin specialists. This is a special year – the organization’s 20th anniversary – and the two concerts in the late spring both feature absolutely prodigious pianists in their early 30s: Polish superstar Rafal Blechacz and the sensitive and commandingly-powerful Alexander Gavrylyuk. The former won the 15th Warsaw Chopin Competition in 2005, taking all the prizes, and subsequently has made 4 recordings for Deutsche Grammophon. 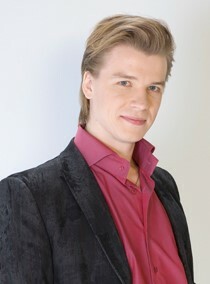 Blechacz’s appearance in this gala concert will be his third in Vancouver, and should be as memorable as his last two. Gavrylyuk’s poetry, fire and command are well known here from his Rachmaninoff and Tchaikovsky performances with the VSO, and he comes off a stunning debut at the 2017 BBC Proms. With the burgeoning interest in playing Chopin on authentic period pianos and the recent availability of a lovingly-restored Broadwood (1870) in the city, one must bring attention to the early February appearance of Janusz Olejniczak, playing Chopin both on the Broadwood and a modern concert grand. This venture is co-sponsored with Early Music Vancouver. Early Music Vancouver is one of the founding early music organizations in North America, consistently bringing the highest level of ‘historically informed’ performance to the city. It has achieved more exposure in recent years under the leadership of Matthew White, establishing Christ Church Cathedral as a principal residence. Early 2018 starts with five enterprising concerts co-sponsored with the VSO, Chopin Society and Friends of Chamber Music (discussed above). 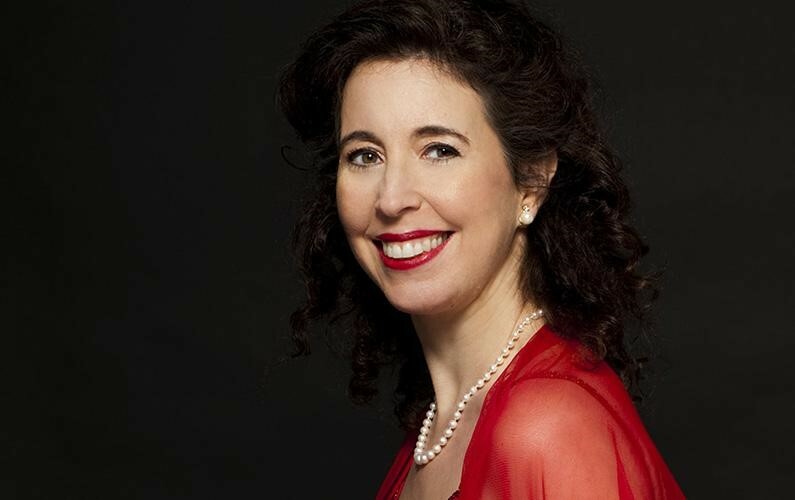 After delightful Canadian soprano Suzie LeBlanc and Ensemble Constantinople visit in late February, a particularly important event is Angela Hewitt returning to Bach’s Goldberg Variations (recall her exalted earlier traversal of all Bach’s keyboard works for Hyperion). Two weeks later finds Ensemble La Rêveuse celebrating Telemann, followed by delicious authentic performances of piano trios from Haydn to Hummel. Here Monica Huggett is joined by cellist Tanya Tomkins and fortepianist Eric Zivian. The big choral event is the appearance of the Tallis Scholars. Particularly inviting recitals by tenor Charles Daniels and soprano Karina Gauvin, both with the PBO under Alexander Weimann, close the season. After Vancouver Opera’s ‘experimental’ season last year, putting three productions together in ‘festival’ format in the late spring, things appear to be heading back more to normal. The festival has been reduced to two contemporaneous productions in April (one in Queen Elizabeth Theatre; the other in the Playhouse), with major productions in QET in October and January. Passionate love and comedy start things off in January: Jonathan Darlington takes over the helm in Donizetti’s L’Elisir d’Amore, receiving its first VO production in almost 20 years. Ying Fang sings Edina while Andrew Haji takes on the role of Nemorino. A production of Tchaikovsky’s Eugene Onegin is always something to look forward to, and sends the April/May festival off with occasion and élan. Darlington directs again, with the virtue of fully idiomatic singers: Konstantin Shushakov as Onegin, Svetlana Aksenova as Tatiana, and Maxim Aksenov as Lensky. Its companion is The Overcoat – a musical tailoring, which runs for ten performances at the Playhouse, and is a co-production with Toronto’s Canadian Stage Company and Tapestry Opera. The libretto is by Morris Panych with music by Canadian composer, James Rolfe. Panych directs and Wendy Gorling provides the choreography, defining a unique collaboration between the two authors of the original play (1998). After hosting the vast 2017 ISCM World New Music Days in November, the city quickly turns to the VSO New Music Festival in January (described above). As I have emphasized before, New Music seems to be everywhere in the city these days. Continuing through the spring, one can only be impressed with the concerts of David Pay and Music on Main, Sean Bickerton’s efforts in revitalizing the Canadian Music Centre (BC) and instating the intimate Adaskin Salon, alongside the long-standing commitment of Vancouver New Music and the Turning Point Ensemble. Maestro Tovey, Jocelyn Morlock and Rodney Sharman, among others, have served as galvanizing forces in this inspiration. One can never forget the 46 years of inspiring concerts at Ryerson United Church given by the Vancouver Chamber Choir under conductor Jon Washburn. Although the legendary Washburn will step down at the end of the 2018-19 season, there is still a full concert series in swing in the spring. Two other staples of the city’s rich choral heritage are the Vancouver Bach Choir and the Vancouver Cantata Singers, each of which continue their own seasons. A similar presence attaches to the Elektra Woman’s Choir under Lorna Edmundson. The enthusiastic and accomplished Chor Leoni Men’s Choir also gives a full slate of concerts that might be termed semi-classical, but they are always inspired and the choir has the widest following. And there are many smaller local choirs behind these. The collaborations of the VSO and UBC University Singers and Choral Union (under Graeme Langager) have also become increasingly noteworthy. For those who enjoy music ‘early’, there is the enterprising Music in the Morning series (10am), featuring a variety of outstanding Canadian and international chamber groups and soloists. A key concert of the spring is the appearance of the stunning Canadian pianist, Jan Lisieski. There is always exciting chamber music available from Vetta Chamber Music, pushing past their 30th anniversary under the strong guidance of Joan Blackman. Jennifer West’s Müzewest Concerts is starting to make its mark after four years of duo and solo recitals, and there are now fledging organizations (Vancouver Chamber Music, Music Friends) ready to spring on to the same path. West Coast Chamber Music also offers its four concerts in the spring. The West Coast Symphony, the Vancouver Metropolitan Orchestra, and the UBC Symphony all offer adventurous seasons of their own. One must stress how well opera flourishes at UBC under Nancy Hermiston, and we must not forget City Opera Vancouver and Re:naissance Opera and a number of other smaller opera presenters just starting out. There are of course a vast number of other events which take place under the auspices of the UBC School of Music. ** EVENT DATES AND DETAILS CAN BE ACCESSED FROM OUR INTEGRATED CALENDAR. EACH ORGANIZATION’S CONCERT SEASON CAN BE ACCESSED THROUGH ‘AFFILIATES’ ON THE RIGHT HAND SIDE OF THE HOMEPAGE, AS CAN INFORMATION ABOUT UBC CONCERTS AND STUDENT TICKETS.